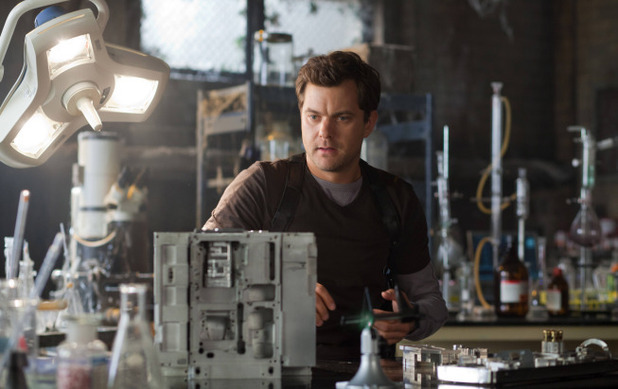 SciFi Weekend: Larry Hagman Dies; Chevy Chase Leaves Community; Fringe; Revolution; When’s The Doctor? The story which must lead over any other entertainment stories this week is the death of Larry Hagman. He is best known for the part of J.R. Ewing. In 1980 Dallas received a remarkable amount of publicity with a cliffhanger in which J.R. was shot (and recovered). The episode which resolved the mystery remains the second highest rated television episode of all time, and with increased fragmentation of the television audience in the age of cable, Dallas might hold onto this position. 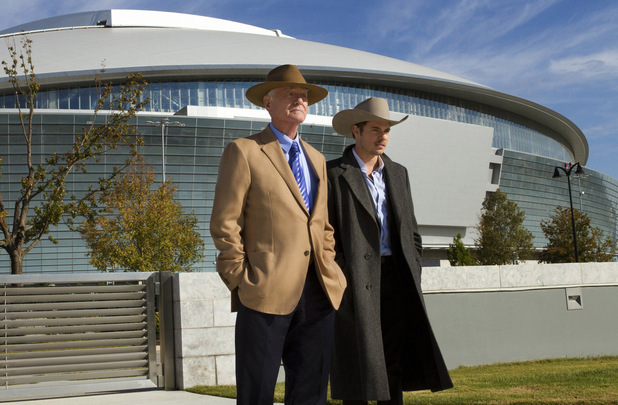 Larry Hagman got to reprise the role of J.R. Ewing on a remake of Dallas which began last summer on TNT. Younger stars dominated the series (sometimes making the series feel too much as if it were Dallas 90210), but the presence of Hagman got the series off the ground. J.R. Ewing slipped into the background during part of the first season to open the way for the next generation, including Josh Henderson as John Ross Ewing III and Jesse Metcalfe as Christopher Ewing, to battle each other. Hagman had filmed six of fifteen episodes of the second season, which begins on January 28. There is no doubt that the show will be rewritten to take J.R.’s death into account. A storyline about the death of J.R. Ewing in March is bound to be a ratings success. This is not the first time that Dallas has had to deal with the loss of a major character, with Jim Davis (Joch Ewing) dying and Barbara Bel Geddes (Miss Ellie Ewing) leaving the series for health reasons. (Donna Reed also played Miss Ellie for one year, with Bel Geddes subsequently returning for an additional season). Bobby Ewing died in the eighth-season cliffhanger, with Bobby returning in Pamela’s shower at the start of season ten, making all of season nine a dream. While J.R. Ewing could never be replaced, the remake of Dallas does feature other characters from the original series, with Patrick Duffy (Bobby Ewing) and Linda Gray (Sue Ellen Ewing) having regular roles. Ken Kercheval (Cliff Barnes), Steve Kanaly (Ray Krebbs) and Charlene Tilton (Lucy Ewing) have had recurring appearances. Joan Van Ark and Ted Shackelford are returning as Valene and Gary Ewing, roles which were primarily seen in the Dallas spinoff Knots Landing. Hagman had many other roles, including some which could be classified as genre. The most notable of his other roles was as Major Anthony Nelson, an astronaut who was the owner of a 2000 year-old super being on I Dream of Jeannie. Other genre connections include a role in the first Superman movie and directing a low-budget sequel to The Blob, called Beware! The Blob. Reactions from many who have worked with Hagman can be found here. Community will also have to deal with the loss of a leading character. Chevy Chase (Pierce Hawthorne) left the show late in the filming of the fourth season. It was an abrupt departure so it is not known how it will be dealt with on the show. There might not be any need for an explanation unless the series makes it to s fifth season. The episodes were being filmed out of order with Chase present in the finale. Chevy Chase had highly publicized conflicts with former show runner Dan Harmon, and his problems with the show were obviously not resolved after Harmon was fired. Chase’s character also often had a rocky relationship with other members of his study group, and the remainder of the ensemble cast could easily carry on without him should the show get renewed for a fifth season. 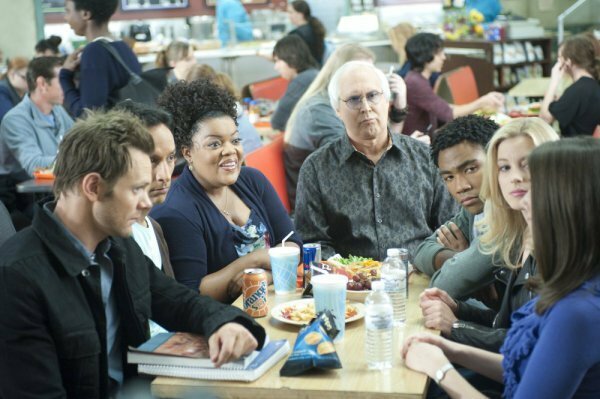 #sixseasonsandamovie. “I get so much support from the media and from fans [and] I can’t be upset if they don’t like [something],” Wyman explained. Revolution had a great scene last week in which Rachel made sure that she will still be needed by Monroe. She did kill a former coworker, but on the other hand he did betray Rachel in telling Monroe that it was a bomb which she was building. In the mid-season finale, all the major characters will be reunited in Philadelphia. TVLine interviewed co-executive producer David Rambo about the mid-season finale. He said that, “The finale will answer some questions, but it will pose even more because it is a really good cliffhanger. One of the big things that will be revealed actually, I believe, is what Monroe’s plans really are.” The second half of the season might also show what is occurring in the other republics. 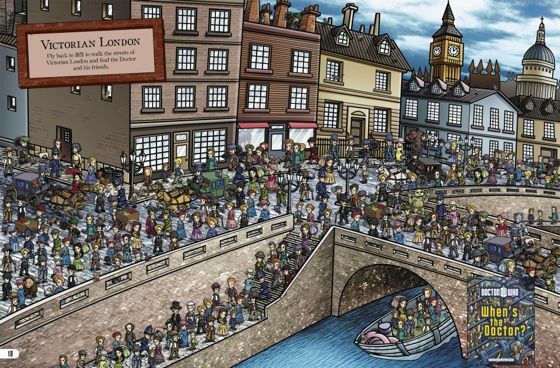 You might ask Where’s Waldo, but the question with the Doctor is not where but when. 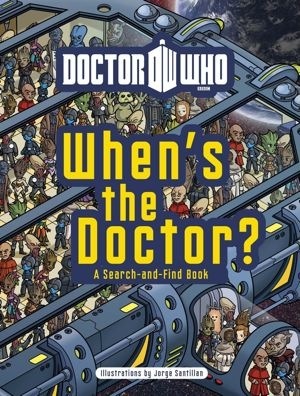 Flick Filosopher presented some pictures from this Gallifreyan Where’s Waldo? Posted in Science Fiction, Television. Tags: Community, Dan Harmon, Doctor Who, Elizabeth Mitchell, Fringe, Revolution, Science Fiction, Superman, Thor. RSS feed for comments on this post.. TrackBack URL. Ol larry entertained a lot of aunts, babysitters and grannies in his time!